Aquatic Bath 4360531-BO Bone Universal Drain 60"x34"x22" Acrylic Whirlpool Tub. 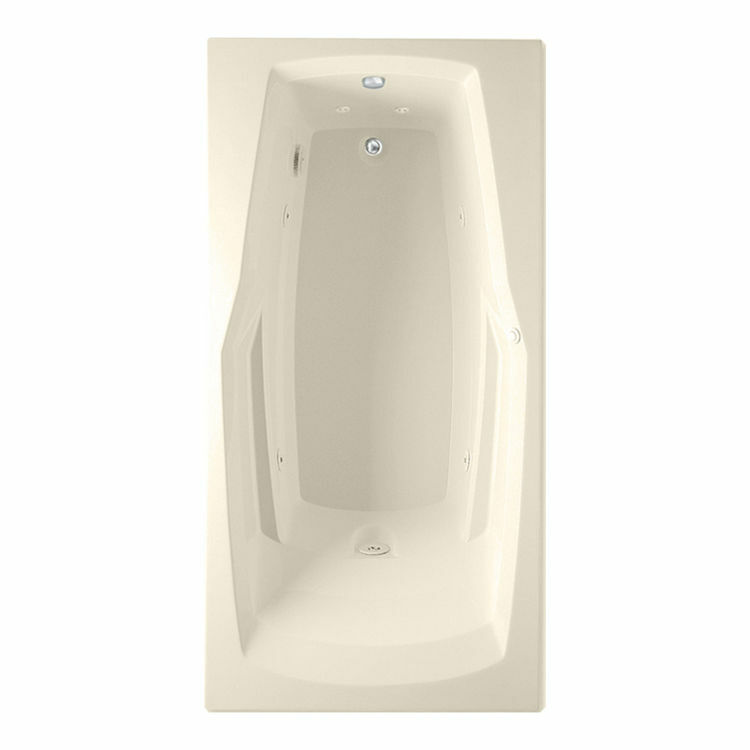 This Cast Acrylic Whirlpool Jetted Tub includes 7 high-flow directional jets designed for a soothing hydrotherapy massage feel. These jets are powered by a 3/4-HP (Horse Power) pump and an advanced safety suction system that can turned off and on with the push of a button. This System rushes delicate and oscillating waves throughout the entire tub, creating a feel that's to die for. This Aquatic Bath 4360531-BO Acrylic Whirlpool Tub features a Bone finish designed to coordinate with the rest of the bathroom fixtures, and also includes a slip resistant floor, an easy to enter and exit design for safety and a limited 10 year warranty. Shipping Dimensions 34.0" x 60.0" x 22.0"
Dimensions: 60" x 34" x 21 1/2"